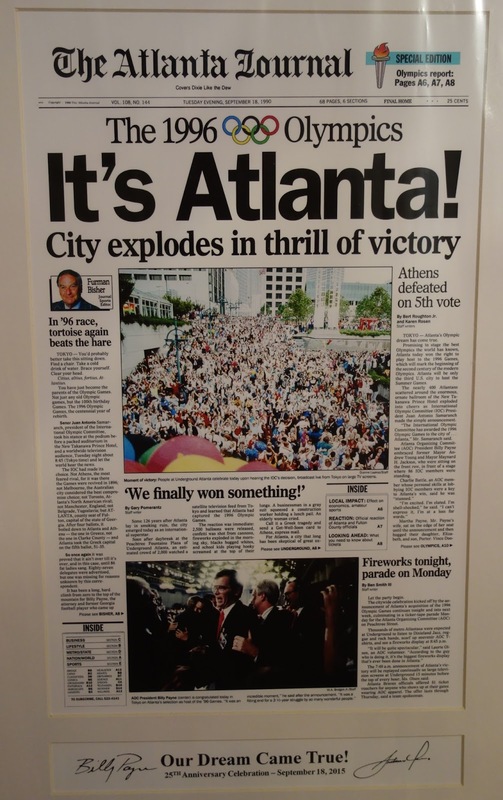 Twenty-five years ago -- Sept. 18, 1990 -- Atlanta won its Olympic bid to host the 1996 Games. 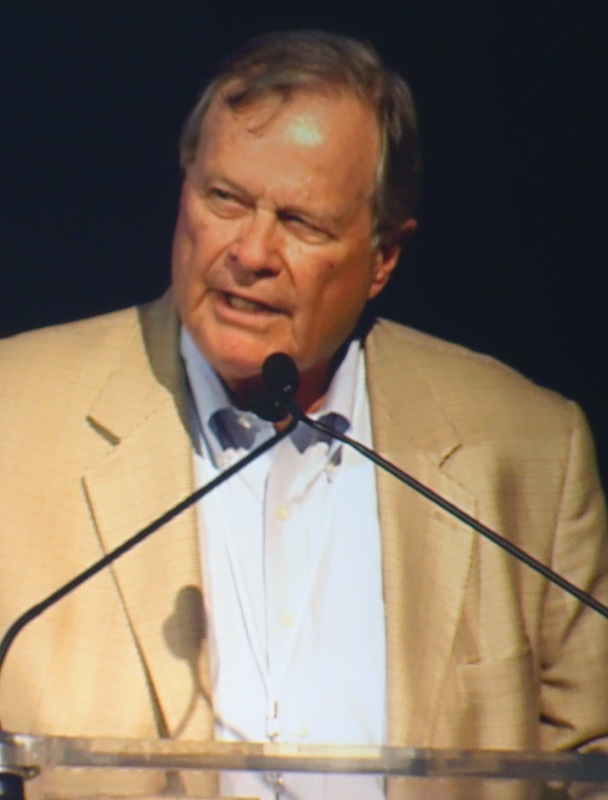 Tonight the bid's originator, William Porter "Billy" Payne, hosted a classy anniversary event to say thank you and celebrate the "Dreamers & Believers" who shared his five-ringed vision as early as 1987. 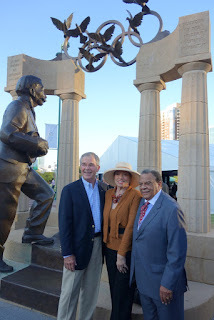 In a tent filled with about 400 friends at Centennial Olympic Park, Payne proudly explained his remarks for the evening were "25 years in the making" before rolling a video unveiling two new monuments coming soon to the urban park he created. The additions include custom marble benches honoring key Atlanta business leaders (Jim Kennedy, Bill Dahlberg, Bob Holder, Bennett Brown, Herman Russell and Ivan Allen III) first to embrace the Olympic bid. A new marble column featuring the names of the "Atlanta Nine" volunteers who led the bid committee will also join the statue of Payne installed in 1997. Though more details remain to be announced, Payne briefly mentioned a capital campaign in the works to provide other park improvements in time for next year's 20th Anniversary of Atlanta's Games, which will take place on the eve of the Rio 2016 Olympics. Introduced by Payne as the keynote speaker of the evening, bid partner Ambassador Andrew Young put into perspective several Atlanta milestones of the 25 years since the city's Olympic victory. 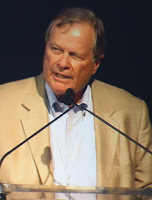 Young referenced the city's rapid growth (more than 25 percent, according to a state representative who spoke earlier in the evening), successful collaborations (to build the world's busiest airport, create MARTA, and to pursue then host the Games) and details of his initial conversations with Payne when Young was Atlanta's mayor. 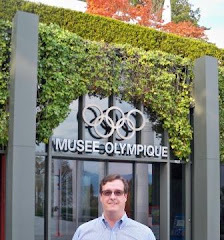 Young said Montreal's $750 million debt from the 1976 Games made his staff members reluctant for Young to meet with the 34-year-old Payne. 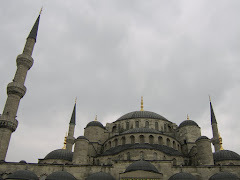 "[But] I heard Billy got this [Olympic bid] idea after church," said Young. "I'm a preacher and I know now the Lord works on you, and when an aging jock in midlife crisis gets religion ... that's the way the Spirit works." He took the meeting and the rest, as they say, is history. 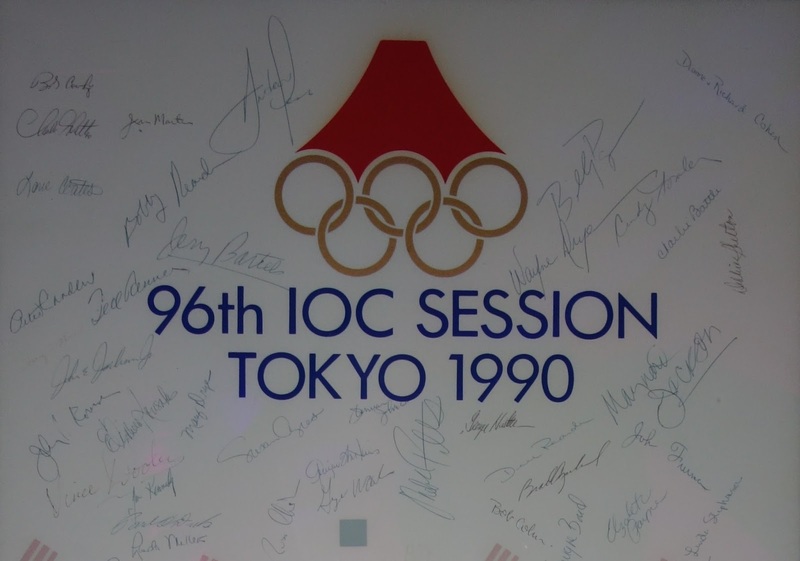 Other party presenters included WSB's Monica Kaufman, who was in Tokyo covering the 1990 vote, and Charlie Battle, the Atlanta attorney credited with visiting more nations during the bid and for helping forge the most friendships with voting IOC members. Other VIP attendees included former Atlanta Committee for the Olympic Games CFO A.D. Frasier, Cohn & Wolfe co-founder Bob Cohn, a longtime Olympic collector whose firm provided early public relations counsel for the Atlanta bid team's domestic campaign, and University of Georgia football coaching legend Vince Dooley, for whom Payne played years before his Olympic feats and current role as chairman of Augusta National Golf Club. 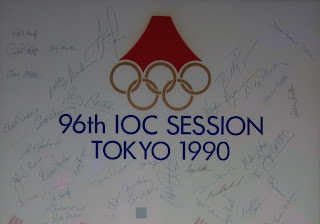 During his remarks detailing the bid committee milestones of 1988 to 1990, Battle called out several volunteers including Atlanta Marriott Marquis concierge Albert "Smitty" Smith who charmed many IOC leaders and staff. 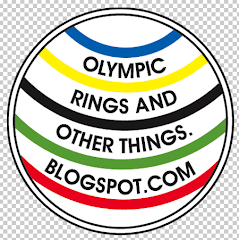 "[Smitty] is one of the first people IOC friends ask about when I travel and see them," said Battle. 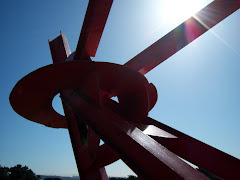 Battle also mentioned the bid team's early events that wooed the U.S. Olympic Committee away from competing bids from San Francisco, Minneapolis and Nashville. 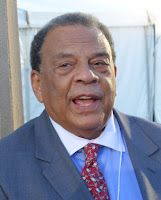 He detailed the scrappy manner through which Atlanta created an "Atlanta House" in Seoul during the 1988 Olympics and around the 1989 IOC Session held in Puerto Rico. Forging friendships across the Olympic Family echoed as key to the win, according to remarks from Battle, Payne and Young. 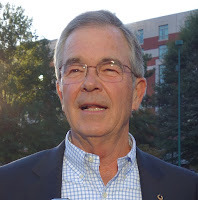 Since the rules of Olympic bidding now forbid voting IOC member visits to candidate cities, its likely Atlanta's networking techniques were a first- and last-time option for Olympic bid committees of the 2010s and beyond. 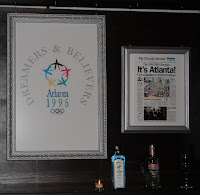 Young said Atlanta proved to have a lot more Olympic connections than anticipated, including then-USOC Treasurer Dr. Leroy Walker as a local high school graduate, and Edwin Moses as a top Olympian of 1976 and 1984. 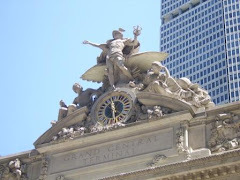 Young attributed divine intervention, through his U.S. 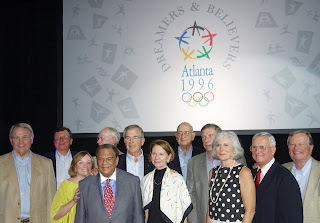 Ambassador assignments from President Jimmy Carter, as federal duties that helped him renew existing connections to up to 55 voting IOC members on behalf of Atlanta. 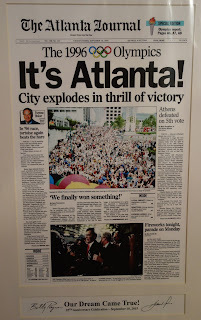 In Young's mind, things started adding up that "The city was ready for it" and "we did it." During a media Q&A prior to the event, I asked Young if he could recall waking up in Tokyo on Sept. 19 after reality over the victory may have set in for the team. "The first thought I had was, 'Damn! We won this thing and we're broke,'" said Young. 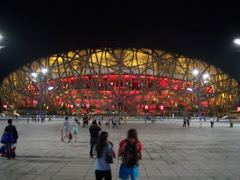 "They [the IOC] gave us a letter saying that we won, but it was also a bill for $1.5 million for the victory party. 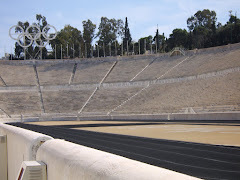 I said, 'Thanks, you gave us the Olympics and a bill to start with?" Like tonight's gathering, that was one party worth every penny. Don't let God fool you, He reaps where He doesn't sow.